I will never again look at some dish made from a weird combination of international cuisines and say “Only in America.” Because now I’ve had Green Tea Tiramisu Kit-Kat from Japan. I have been watching the Japanese Kit-phenomenon from afar with great interest, since the flavors are often somewhat, well, unexpected, like the pumpkin version reviewed here. Finally through the good graces of our friends at J-List, I’ve had a chance to sample some for myself, in several different sizes and shapes: Tiramisu and Green Tea Tiramisu in delicate little individually wrapped sticks, Azuki bean in a two-stick size bar, and Sakura nuggets. Baliâ€™s Best Green Tea Latte Candy is a hard candy with infused green tea that â€œoriginates â€¦ exclusively in the islands of Java.â€ The package continues: â€œMindfully hand-plucked, our tea derives its fresh & lively flavor and light floral scent from the sultry Javanese climate and rich soils.â€ I donâ€™t know what it means to â€œmindfullyâ€ pluck tea leaves (Iâ€™d bet that a long day of harvesting tea would quickly become a mindless task), but Iâ€™m excited to try these individually-wrapped candies made in Indonesia. Theyâ€™re also all-natural – with ingredients you donâ€™t need a chemistry degree to understand. But what do they taste like? 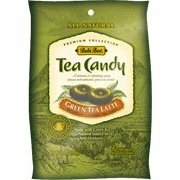 Do I really want tea in my candy? Okay, so I am hopelessly addicted to anything that is matcha flavored. Matcha is Japanese powdered green tea. It’s not like the green tea they serve you in Japanese restaurants, mind you, but more like restaurant green tea on steroids. Matcha is used in the Japanese tea ceremony and is also what you find in green tea ice cream. Lately there has been a proliferation of green tea-flavored items in the United States (matcha frappuccino, anyone? ), but in Japan? Matcha is king, and holy cow, practically every edible item there comes in a matcha flavor! Woohoo! 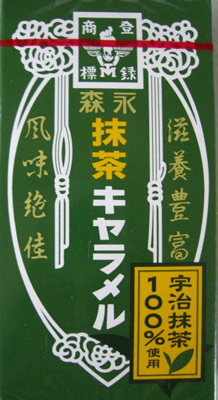 You can imagine my glee when I opened up this box of Morinaga Matcha Caramels from Jbox. I have long been a fan of Morinaga caramels, but it was like I won the lottery when they started making them in matcha flavor. I love the look of the box – it looks very authentic and kind of retro. If Iâ€™ve learned anything about gum recently itâ€™s this: gum isnâ€™t just for chewing anymore. No, nowadays it freshens your breath, entertains your taste buds, even sends caffeine coursing through your system. X-it Sugarfree is no exception. In addition to X-it Sugarfree Gum, I also received several different types of mints and bonbons. I have enough gum and mints to keep my breath fresh for a decade. What’s my favorite thing about these X-it products? Honestly, its the packaging. Each product comes in an attractive tin that tucks easily into your purse or pocket, guarding the lining against spillage. Even better, the tiny mints come in tins with black plastic lining that dispenses a couple at a time – even more protection against spillage! 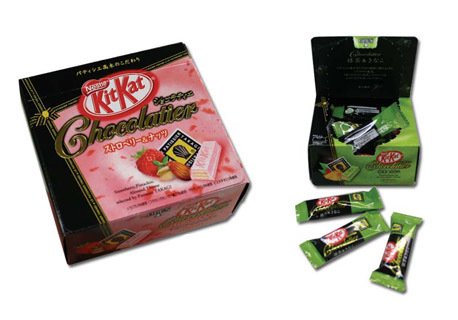 These Japanese Kitkats are mini finger bars produced by Le Patissier Takagi. 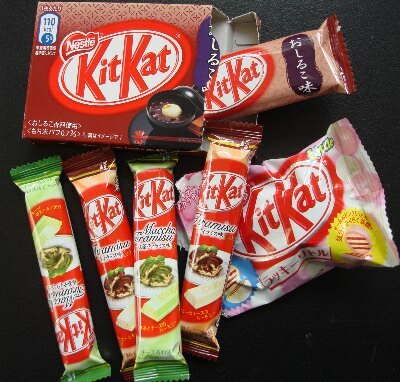 They’re the latest in “specialty” KitKats from Japan, following the “Wine” and “Noir” flavors from last winter. Each finger is about 1 3/4 inches long which is perfect for snacking, sharing or a quick treat.